The Internet contains millions of terabytes of video content. The greatest part of it is streaming video – the media type which can be easily sent over the Internet and displayed by a viewer in real time. With streaming video, a Web user does not have to wait to download a file to play it. Instead, the media is sent in a continuous stream of data and is played as it arrives. The most popular formats of streaming media are Flash FLV and SWF. These are video file containers to deliver video over the Internet through Adobe Flash Player. They are accepted as the default online video formats by most websites including top video sharing portals. If you’d like to distribute your video over the Web, publish it to your website or blog, you’d probably have to convert it to one of those formats. This tutorial will walk you through the process of preparing a Web-ready video with the use of free video converting software. First you need to download and install a free video converter from Freemake.com. 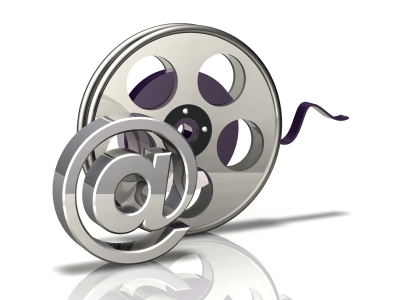 Once you launched the software, drag’n’drop the video files you’d like to convert into a web-ready format. Alternatively, use the blue button “+Video” and browse for your input files. Note: Freemake Video Converter accepts all the most popular as well as numerous exotic video formats, find the full list of supported formats here. If you need to cut unnecessary video parts from your files, use a handy video editor which opens by a double-click upon your a video file line. When you are ready with editing, choose the output format: FLV or SWF. FLV or SWF – what’s better? FLV is primarily intented for streaming video on the Internet, so this container type is video-only, while SWF files can contain a variety of content (video, animation, graphics, games, even small applications). The main difference between FLV video and SWF video lie in the encoding method. FLV uses lossy codecs in encoding so that output videos have as small file sizes as possible for faster loading. SWF uses a lossless compression to maintain the original quality, so the resulted video files are too big to be streamed in the Web. Therefore, choose FLV if you deal with a long video and SWF if you convert a short one. Once you hit one of the Flash formats, you get into video parameters form, where you can customize the output settings. You have chance to modify video and audio codecs (H.264 or FLV for video and MP3 and AAC for audio), bitrate and frame size. 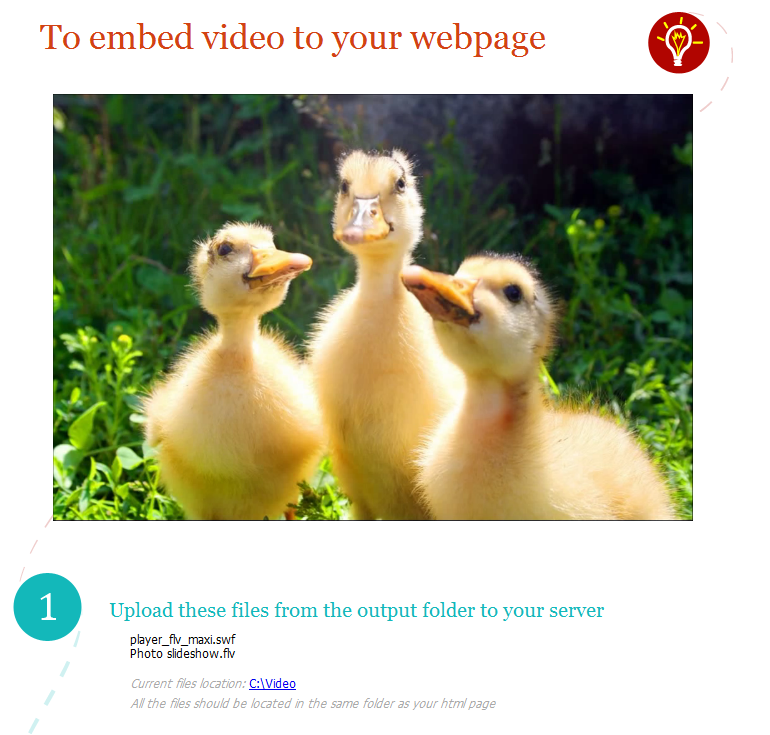 Don’t forget to tick “Embed video into my web page” if you need HTML code for video embedding. Click “Convert” and wait a bit. At the output you get the video FLV or SWF file and an HTML page with the embed code and step-by-step guide how to integrate it into a web page. Use Freemake Video Converter on a regular basis if you often add videos to your web resource. The converter provides a lot of handy functions including YouTube videos download, photo slideshows creation, DVD ripping, etc. Thus, you can repost any on- and offline videos and make smart presentations in a web-ready format. 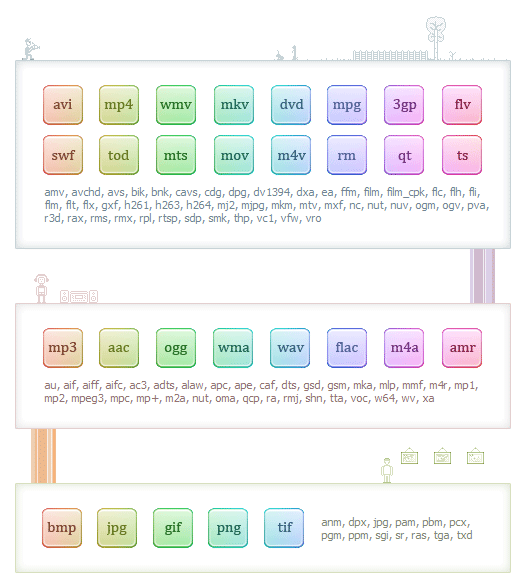 Go ahead and diversify your web content! Tips – you can use Online Video Downloader to download videos from YouTube, Facebook, Instagram, Vimeo and other 100+ online media services to computer and iPhone/iPad. Elena Vakhromova is a guest blogger, IT enthusiast and social media marketer. She writes about popular multimedia software for Windows and takes an active part in their promotion on the Web. The last contribution was for YouTube video converter. Thanks for the instructions as video is a great way to improve the blog popularity and attract more visitors to the site. Your tips are very useful for me as it took me ages to add some video.